The Dallas-Plano-Irving area ranked No. 1 on Forbes’ 2018 list of the best cities for jobs, recording 25.6 percent job growth since 2006. In addition to posting growth in virtually every sector Forbes measures, the region offers financial factors attractive to both companies and workers. School performance, cost of living, crime and safety, amenities and more among the reasons Niche has listed Plano as the No. 3 best place to raise a family nationwide. The Plano City Council approved plans for the mixed-use development along State Highway 121 and Rasor Blvd. The 46-acre site on one of Plano’s most-prominent pieces of undeveloped land would include 95 townhouse lots, a mix of retail stores and restaurants, and 140,000 square feet of office space. Collin County’s population is expected to double before 2030 and surpass the number of people in Dallas and Tarrant counties with a population of more than 3.5 million by 2050. McKinney, alone, has grown by 365 percent in the last 20 years. 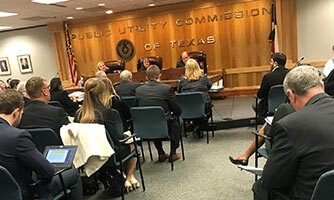 The Public Utility Commission (PUC) in January denied Brazos Electric Power Cooperative the ability to build a new substation in the area of State Highway 121 and Alma Drive in northwest Allen. Group CEO Sam Thakkar was one of several landowners and community leaders to testify in Austin against the expansion. McKinney and Allen top list of best real estate markets in the U.S.
Job growth, median home price appreciation, affordability, and economic environment all factor into annual WalletHub study, which names McKinney and Allen No.2 and No. 3 respectively. Thakkar Developers has acquired a 46-acre site along State Highway 121 and Rasor Blvd. for development of a mixed-use project to include residential, retail, and office. The site is located just minutes from the Dallas North Tollway, U.S. 75, and new corporate headquarters of Toyota Motor North America.